Bill Smith, a Delaware fuel trader, calls it "the most stupid law ever on the books" – yet for a number of shipping stocks, it means essentially built-in share-price gains. This law adds about $0.15 to the price of every gallon of gas. And it's so obscure that the vast majority of people have no idea it exists. It's the maddening reason why it costs three times as much to ship a barrel of oil from Houston to New York as it does to ship the same barrel from Saudi Arabia on the other side of the world. It's called the Jones Act and it's nothing less than a sweetheart deal for the handful of U.S. energy companies whose profits are practically "guaranteed" by law. The Merchant Marine Act of 1920, known as the Jones Act for its sponsor, Senator Wesley Jones, was created to protect and strengthen the then-fledgling U.S. merchant marine industry. It specified that all goods shipped between two U.S. ports must be sent on ships owned by a U.S. company, crewed by U.S. citizens, and built in a U.S. shipyard. 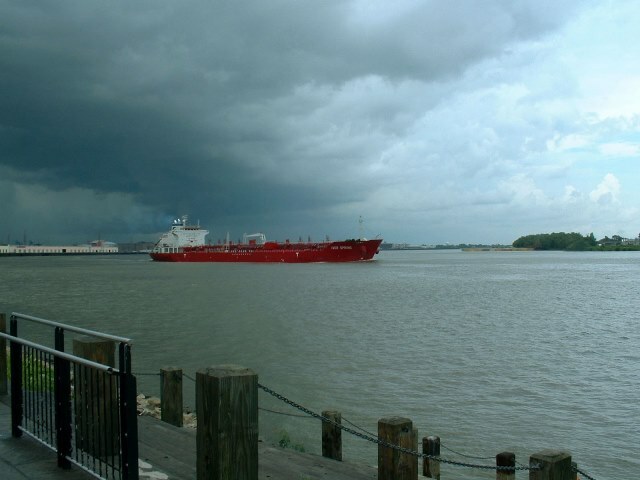 Those vessels include all of the ships and barges that sail the open ocean along the coast and those that use inland waterways, such as the Mississippi and Hudson rivers. According to the U.S. Energy Information Administration, America's domestic maritime industry moves tens of millions of barrels of crude oil and petroleum products throughout the United States, all of it using Jones Act-approved vessels. For the companies that build, maintain, and operate Jones Act vessels, the act virtually guarantees all the business they can handle. According to the Congressional Research Service, a non-partisan agency, the 11 ships and 86 barges that carry petroleum products under the Jones Act are booked 90% to 95% of the time, which is essentially maximum utilization. What's more, the few U.S. shipyards capable of building Jones Act oil-hauling vessels have a backlog of orders through the end of 2016, and some through the end of 2017. And all of this is at costs that are far above the industry average.